Rinses, stores and wets lenses before insertion. Cleanses, loosens and removes accumulations of film, protein, other deposits and debris from contact lenses. Formulated for use in disinfection and storing lenses for up to 30 days after disinfection. 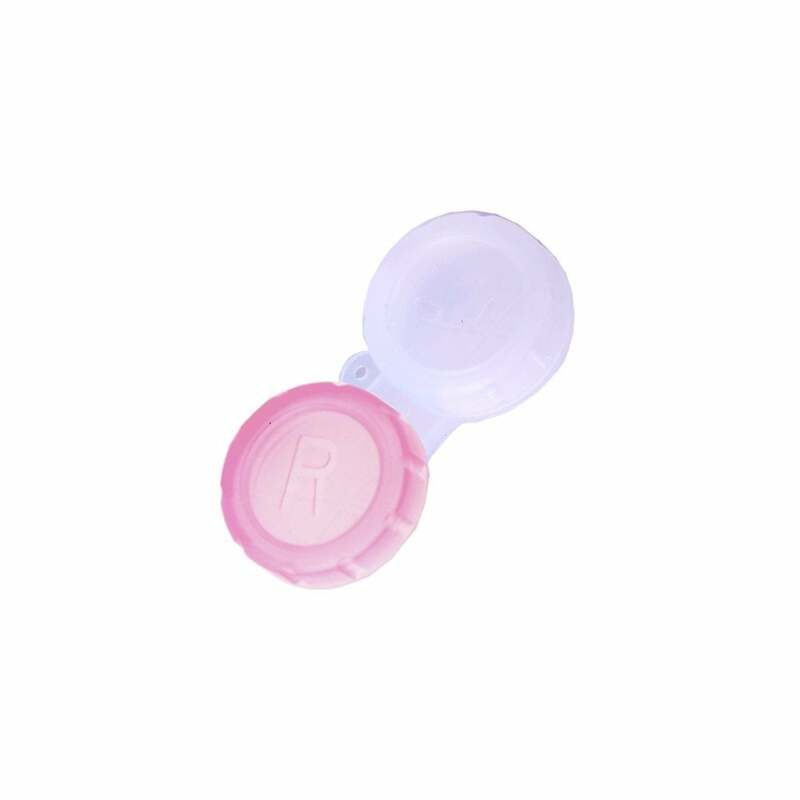 This listing is for a contact lens case with a pink & blue lid. Eyecasions Cosmetic Contact Lenses come with over 25 years of experience in the development and manufacturing of contact lenses. All of their products are manufactured to ISO9000:2000 quality standards for your comfort and safety. With a range of designs and colours, the choice is entirely up to you. All Eyecasions Cosmetic Contact Lenses are made and tested to ensure that they meet demanding standards. This commitment to excellence affords the highest levels of wear-ability, ensuring absolute comfort, every day.